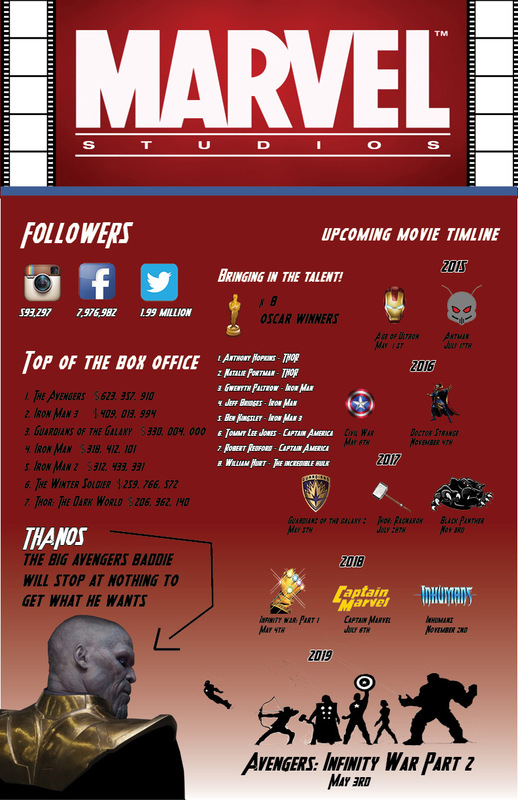 Superhero movies have been taking over and Marvel Studios has a lot to do with that. On October 28, 2014 Marvel released information regarding the future of their superhero universe. They are bringing 11 more movies to the big screen between the years 2015-2019. These plans just keep getting bigger and the bigtime actors are lining up to be a part of it. 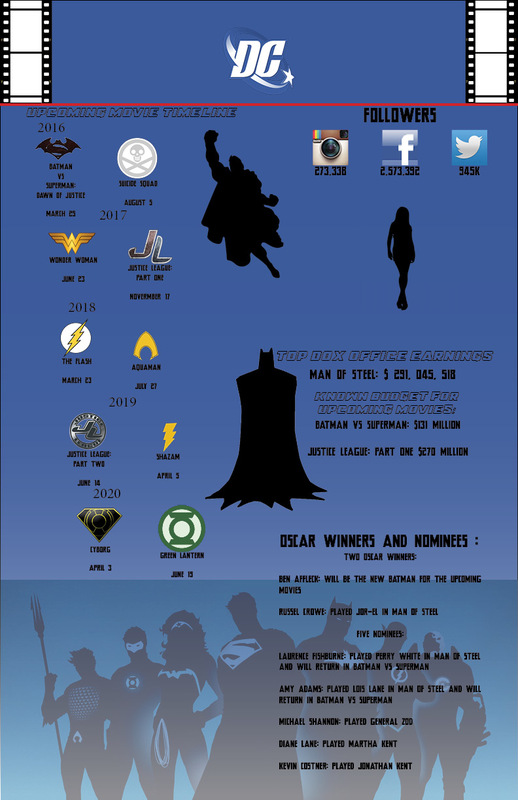 DC is following in Marvels footsteps with their own line up of movies between 2016 and 2020. Not to be out done DC has ten movies on the way that will all share the same universe and lead up to a big Justice League film where all the DC favourites will come together on the big screen! Let the super hero battle forthe box office begin! Added by Kellen Jackson on November 11, 2014.